From dams,roads, and high-rise buildings to reconstruction in areas affected by naturaldisasters, heavy machinery technology is indispensable to us when it comes to creating an environment where we can live safely and comfortably. 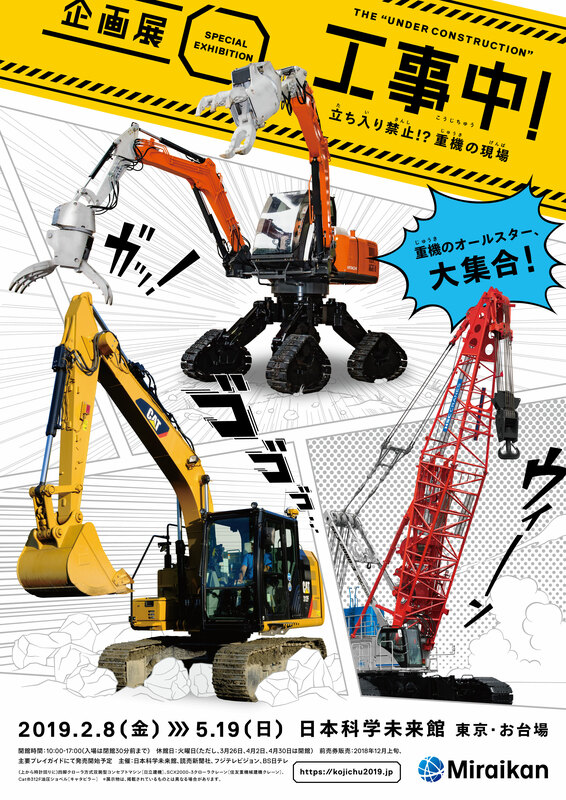 four-legged crawler system, and the large parts of a huge crane. There is also technological innovation taking place regarding the massive and heavy image of construction sites, with small robots playing active roles on dangerous construction sites, and lightweight construction equipment aiming to work on sites in space. We consider the future from looking at this new technologywith our visitors. For advance tickets and groups of 8 people or more, admission fees in ( ) are applied. reservation required. During crowded times, number tickets will be issued and entrance regulations may be applied. 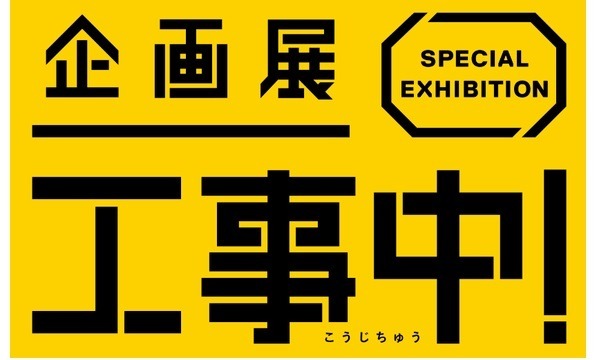 Title: Special Exhibition The "Under Construction"
This ticket is limited to 1 ticket per person. We cannot accept your cancel request. You cannnot resale this ticket.